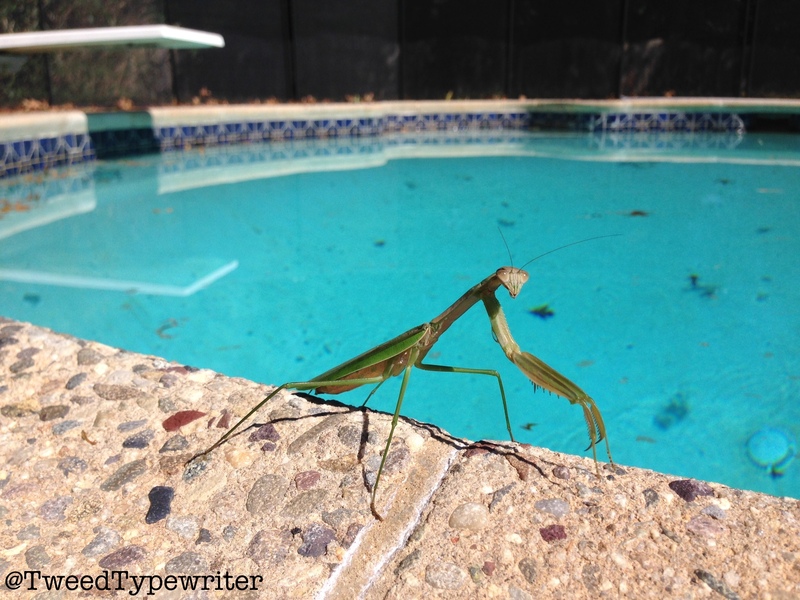 For what does the poolside mantis pray? From the heat of the day? Of the hungry blue jay? By the poolside he prays.